Where better to start than with desert?! This is one of my favourite puddings to serve after a hearty Sunday roast. You can make it the day before and have it cold or pop it back in the oven after you've taken your roast out to warm up while you eat your mains. This recipe is very easy, and a great way to use up bananas that look well past their best. Take 3 mixing bowls - in the first one mix the soft butter, sugar, egg and a few drops of vanilla extract. In the second bowl, mash up the bananas - the browner and older the better! In the last mixing bowl sift the plain flour and 1 teaspoon of bicarbonate of soda. Tip the mashed bananas into the butter mix bowl and then gently mix in the flour. 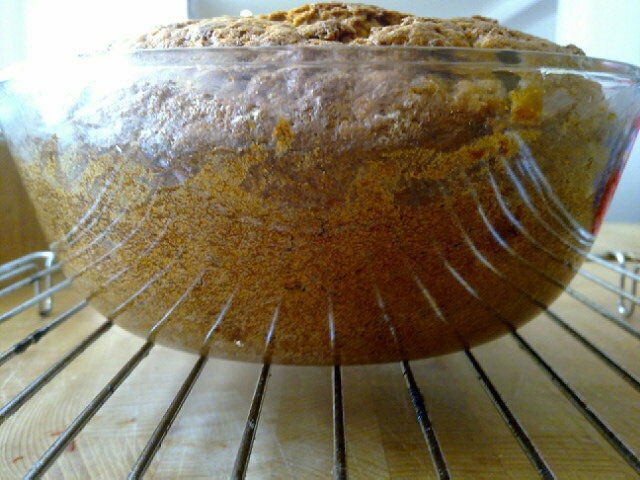 Banana bread is normally cooked in a loaf tin, but I like to cook mine in a round pyrex dish. This is for two reasons - you can see when it is all golden and cooked to perfection through the glass, and secondly, it means the bananas move to the centre of the cake, creating a gorgeous, sticky middle. Grease a 10" pyrex dish with buttery or oily kitchen roll, and pour the mixture in. Cook for 35-45 mins at 180C or until golden all over. Remove from the oven and leave to cool in the dish for an hour, or however long it takes. Remove when cooled. 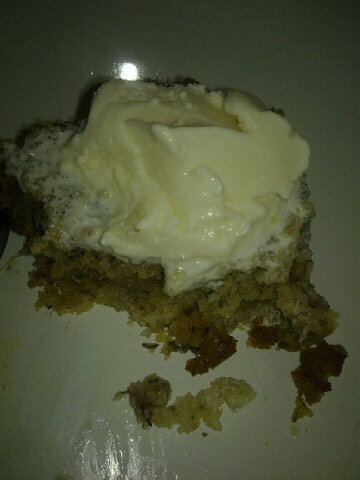 I like to serve this delicious sweet banana bread with a dollop of organic vanilla ice-cream.